On November 3, 1957, a lovable little dog named Laika made history by becoming the first Earthling to ever orbit our planet and see it from space. It was understood that Laika would not return from her trip into space, though counter to the pragmatic focus of the mission, planners were apparently moved enough by the little dog to engineer Sputnik 2 with her sentience in mind. Their design, at the urging of the scientist training Laika, also included a small window presumably to give her a way to enjoy the view of Earth before her one-way trip came to a fatal end. "A window in a space capsule, where such a luxury would cause complications and expenses that I can barely imagine," writer Gladys Haunton later mused in her non-fiction work Laika's Window. "A window for the dog whose monitored demise had been this man's objective in all the interactions that had bonded her to him with the eager devotion of every well-trained working canine." The origins of this early cosmonaut couldn't have been more humble. 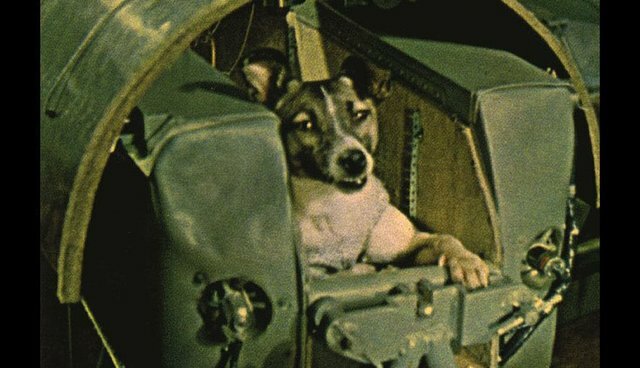 Laika was among the countless stray dogs scavenging for food on the streets of Moscow, unloved and unnamed, prior her enlistment into the Soviet space program. The aeronautics team wanted to test how an animal would fare in the extreme conditions of space, and a hardy dog like her was the ideal candidate. 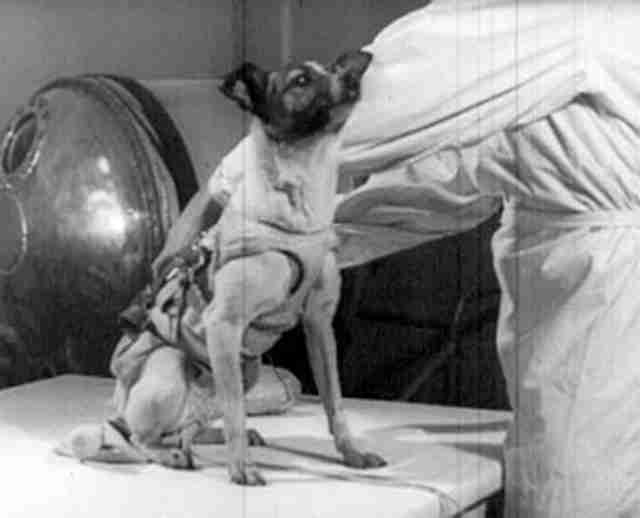 Along with a handful of other dogs, Laika was trained by scientist Dr. Oleg Gazenko to ride inside the small chamber aboard Sputnik 2, a satellite equipped to monitor an animal's vital signs from orbit. Her easy personality helped her get selected for the mission - but it also endeared her to the mission team perhaps more than they ever expected a test-subject could. "Laika was a wonderful dog .... quiet and very placid," one of the scientists involved later told NASA. "Before the flight [...] I once brought her home and showed her to the children. They played with her. I wanted to do something nice for the dog." Laika didn't survive for more than a few days inside that crude early spacecraft, but she did pave the way for a future of manned space flights. Her contribution as a pioneer has made her a celebrated figure in Russia and beyond, though for those who knew her best - not as a cosmonaut, but as a dog - cutting her life short still wasn't worth it. "The more time passes, the more I'm sorry about it. We shouldn't have done it," Dr. Gazenko lamented decades later. "We did not learn enough from the mission to justify the death of the dog."